Around 20 m², this large room can accommodate up to 4 guests. 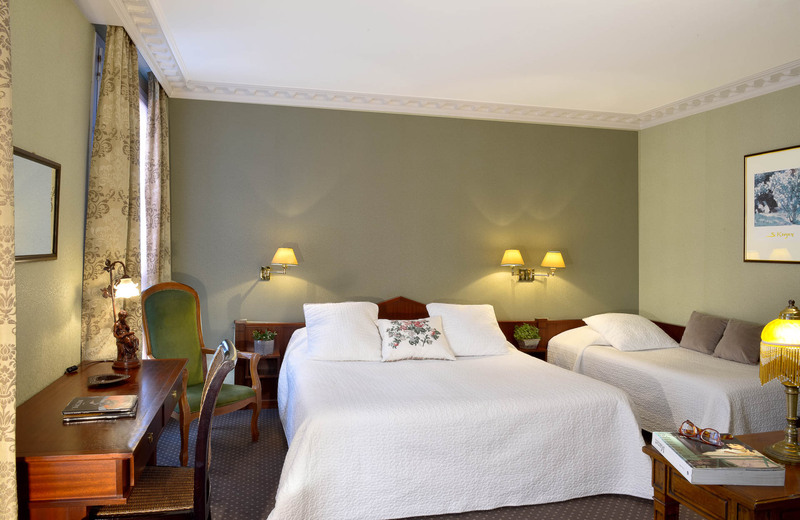 They feature a choice of a double bed plus a single bed or three single beds (upon request) and a bathroom with a tub. It comes furnished with a flat screen LCD TV (with Canal+), free Wi-Fi, a telephone, desk and hair-dryer. An extra bed or cot can be added upon request.